Professor Francis Thackeray is a South African who obtained his PhD in anthropology through Yale University (1984), analysing faunal remains from Late Quaternary assemblages at Wonderwerk Cave south of Taung, Northern Cape Province, South Africa. Prior to that he studied at the University of Cape Town where he obtained a BSc, majoring in zoology (1974); BSc (Hons) in archaeology (1975); and MSc in environmental studies (1977). He has been particularly interested in developing a statistical definition of a species, and in assessing probabilities of conspecificity in the context of hominid fossils from Sterkfontein, Swartkrans, Kromdr i and other sites, based on exploratory morphometric techniques. He has directed excavations at Kromdr i, Plovers Lake and Bolt?s Farm in the Cradle of Humankind World Heritage Site. 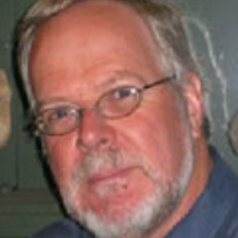 In collaboration with French colleagues, he is the Director of the Human Origins and Past Environments (HOPE) programme. Since 1990 he served as Head of the Department of Palaeontology and Palaeoenvironmental Studies at the Transv l Museum before being appointed as Director of the museum, a position which he held until January 2009.